CLOSEOUTS. 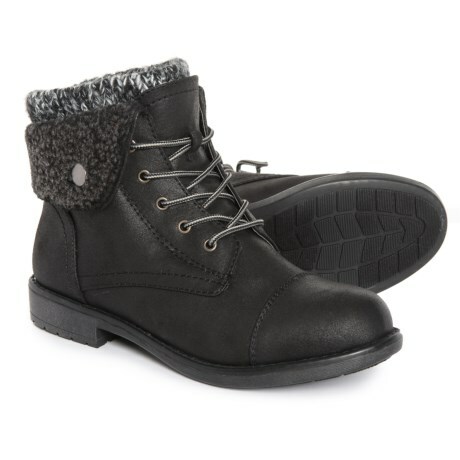 Complete your cold-weather look with these Cliffs by White Mountain Duena hiking boots. Wear with the cuff worn up for added warmth or folded down to expose the sweater-knit sock lining for effortless mountain chic. Available Colors: BROWN MULTI, BLACK MULTI, NATURAL MULTI. Sizes: 6, 6.5, 7, 7.5, 8, 8.5, 9, 9.5, 10, 11.